It happened all the time. The park. The grocery store. In line at the bank. Perfect strangers petting my head and telling me all about the one person in their life/neighbourhood/AA group who was JUST LIKE ME. At some point during my preschool years I perfected the snotty answer.Snort of disgust. Curl of the lip. Delivered in a what-kind-of-idiot-are-you-anyway tone. As much time as I spent as a child wishing I had wavy brown hair down to my knees like Crystal Gayle, or blond hair and a tan like Barbie, or best of all, dark raven tresses just like Diana Barry – as an adult, it’s one of the things I like most about myself. Finally old enough to dye it away like I always wanted, and I never will (highlights don’t count mom). And if I occasionally find myself petting some strange child in the supermarket and gushing over their beautiful red hair… well, I’ve earned it. 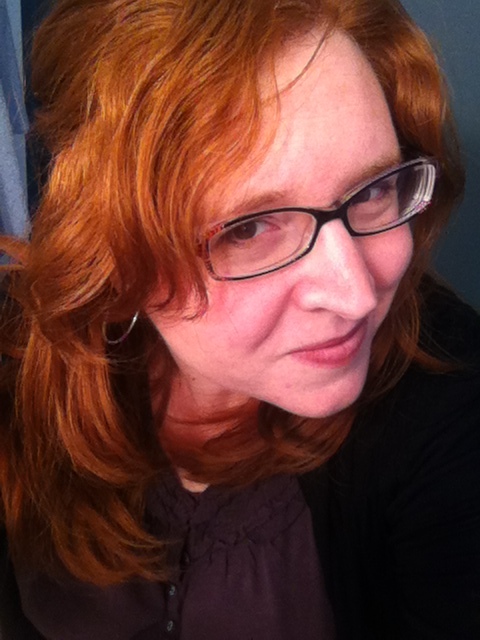 So here’s me, with a head full of impossible, thick, frizzy hair my stylist nicknamed “The Beast”, but I still like it. This entry was posted on Friday, September 6th, 2013 at 2:02 pm	and tagged with Beauty, being myself, Five Minute Friday, Ginger, Red, Red Hair, Red Head, Self Acceptance and posted in Five Minute Friday. You can follow any responses to this entry through the RSS 2.0 feed. I do love me a red headed woman! Reblogged this on agustinus robby.